DM Roofing & Siding is proud to provide customers throughout the Niagara Peninsula with personal service and exceptional quality when it comes to their complete roofing and siding needs. All services and products are guaranteed – coupled with a 10-year guarantee on all labour! We take great pride in our workmanship – and it shows. That’s just one of the many reasons we have been so successful in the Niagara community. When choosing a roofing contractor to work on your home, you need to ensure they can deliver on their promises, and DM Roofing does just that. We take you through every step of the project so you can have the peace-of-mind of knowing your home will be stable, safe and protected from the elements – while also looking great! We are fully insured and offer emergency roofing service. Do not hesitate to give us a call to receive your free roofing or siding estimate! 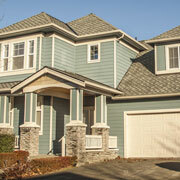 Our roofing and siding products are from quality manufacturers, and our team is fully trained on installation. 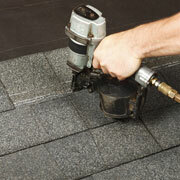 DM Roofing’s professional installation experts will ensure all products are delivered effectively and efficiently.